In its continuing efforts to offer a feature-rich alternative to Google, Microsoft has just released another major update to the official iPhone app of its Bing search engine. In November, Bing for iPhone underwent a significant revamp aimed at helping its users “find” and “do” things more quickly and easily. That included a new interface for searching the Web and seeing restaurants, movies, images, videos, maps, and more. Also included was a built-in media player and integrations with other apps to allow for searching and taking action from one place only. Then, in December, the app received a follow-up update that brought a new in-store price comparison feature along with real-time Uber data and support for animated GIFs. Now, more features have found their way to Bing for iPhone through its latest update. 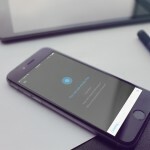 Interestingly, the key features introduced by this update are aimed at helping users shop faster and save more money. 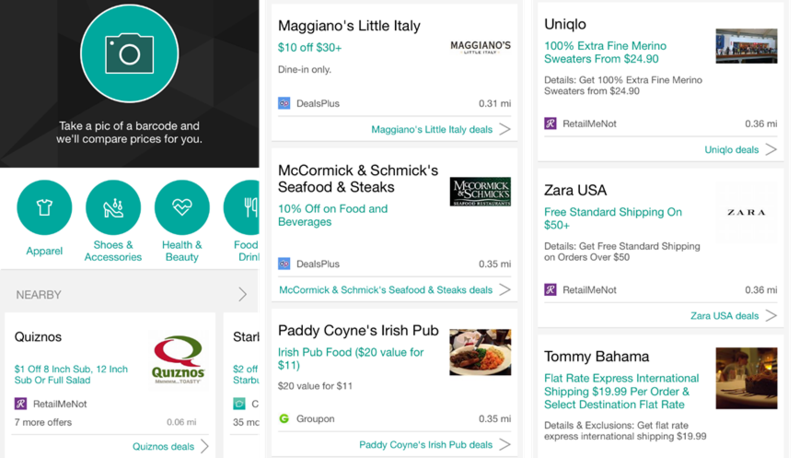 The new version of Bing for iPhone introduces a new Deals module that includes the aforementioned comparison shopping feature along with a new feature for browsing offers, coupons, and discounts from nearby stores and restaurants. With the app, you can launch the barcode scanner by long-pressing the search icon and tapping the camera icon that pops out. You can then point your device’s camera at the barcode of a product you want to look up. 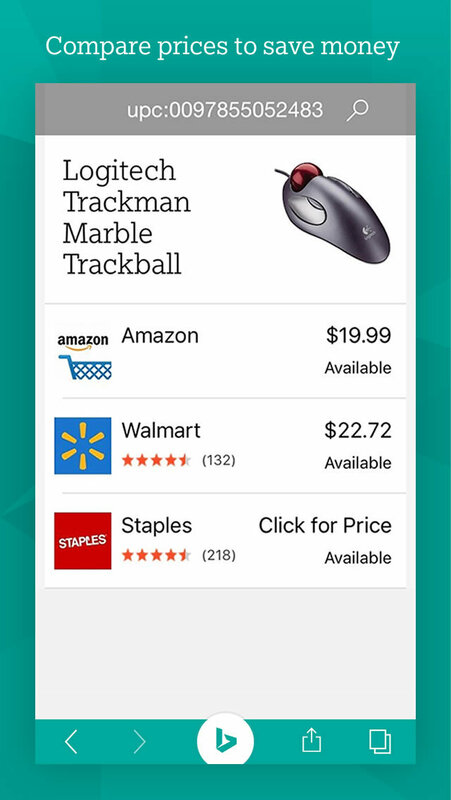 The app will then help you with your purchase decision by returning prices and customer ratings from major retails stores including Amazon, Walmart, Target, Home Depot, Macy’s, and more. In December, Google Maps was updated with information on gas prices. 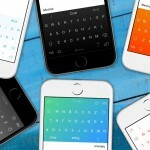 Now, Bing for iPhone has followed suit. 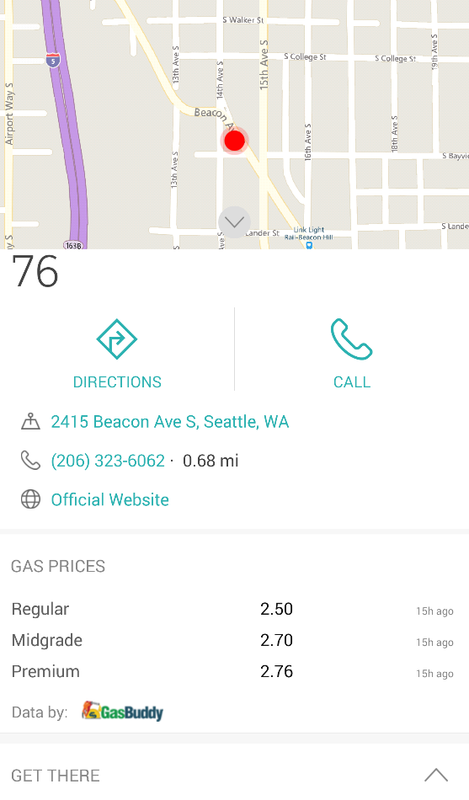 When you want to gas up along the road, you can now use Bing to look up nearby gas stations and see updated gas prices provided by GasBuddy for the closest fuel stops from Bing Local. To find the cheapest gas in your area, just search for “gas” or go to Near Me and select the Gas bubble in the Places Near Me carousel. The latest update to Bing for iPhone also adds 3D Touch support for Quick Actions. 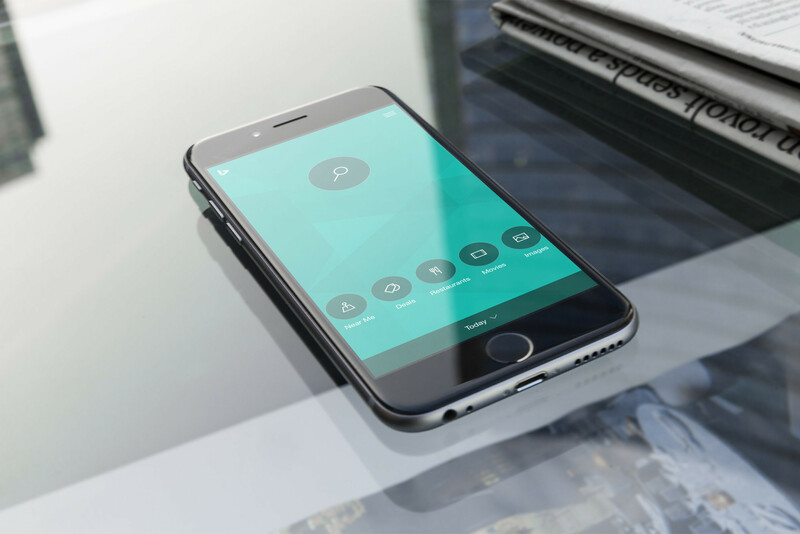 As a result, you can now press the app’s icon on the home screen of your iPhone 6s or iPhone 6s Plus to quickly do a text search, perform a voice search, or launch the barcode scanner. Moreover, the update enhances the app’s Today feed with the inclusion of weather information and the ability to pin frequent and favorite bookmarks for quick access. Optimized for iPhone and iPod touch running iOS 8.0 or later, Bing Search is available on the App Store for free. In addition to updating Bing for iPhone, Microsoft has just updated the official iOS app of its intelligent personal assistant, Cortana, with a Today widget, 3D Touch shortcuts, and a new monthly reminder feature.